This is the time of year when we’ve got a house full of people and a table laden with goodies but it’s important to remember that not all our lovely, festive food is good for our dogs. In fact, some of it is downright poisonous! Here are some foods to keep clear of the floor and out of your pets bowls this Christmas. As humans we can feel like we’ve overdosed on chocolate but for dogs, chocolate can be quite dangerous. Their heart rate can increase or become irregular and the diuretic nature of chocolate can leave them very dehydrated. Onions are toxic to a range of animals because they develop haemolytic anaemia, where the pet’s red blood cells burst while circulating in its body. Shocking isn’t it! Macadamia nuts are one of may favourites but I’m always very careful where I leave them as they can end up paralysing your dog’s hindquarters. They will recover but it’s very painful and worth being extra careful. But I’m sure they’d love a doggie treat so make them feel part of the family this Christmas (as we know you will). 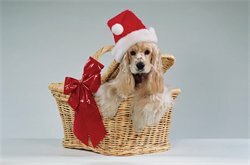 In fact, leave a comment below and tell us what is your favourite festive doggie treat to give? From everyone at The Poop Scoop Service, we wish our happy customers a very Merry Christmas and their Mums and Dads too! We’re already looking forward to 2011. Did you know that dog poop is a huge breeding ground for flies and fleas? Did you know that dog poop is a huge breeding ground for flies and fleas? What an opener, I know!! But with summer making it’s presence known, a lot of Poop Scoop customers are getting their property cleared twice a week. This means you don’t have eggs being laid in the dog poop lying around And the garden stays a lot clearer when you’re out there most. 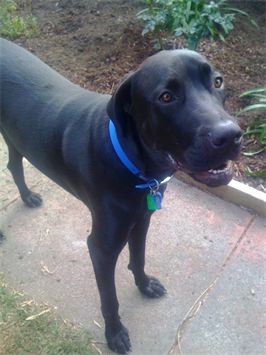 One of our twice-a-week-ers is Marvy, a 1 year old Great Dane and Kuma who is a Grand Ole Rotti Lady. When I arrive at the house, Kuma will bark a couple of times and then wander off because she can’t be bothered (too old for all that rubbish!!). Marvy on the other hand, being a young (enormous) whippersnapper, is so delighted and so excited for a big hug that I usually have to push him out of the way so I can get inside! While I get on with picking up the dog poop, Kuma gets on with a doggie nap but Marvy will follow me around every step of the way (clearly hinting that it would be much better if I gave him more hugs instead of picking up stinky poo!). Then when the garden is clear, I’ve filled up their bucket of water and it’s time for me to leave, Marvy always rushes to the gate and gives me a look that says “doooon’t leeeeeaaavve meeeeee”. He kills me when he does that, so I try not to look at him in the eye! Enjoy this gorgeous summer sun! PS Don’t forget to keep your garden clear as the weather starts warming up. You’ll notice less flies and fleas not to mention a garden you can enjoy!